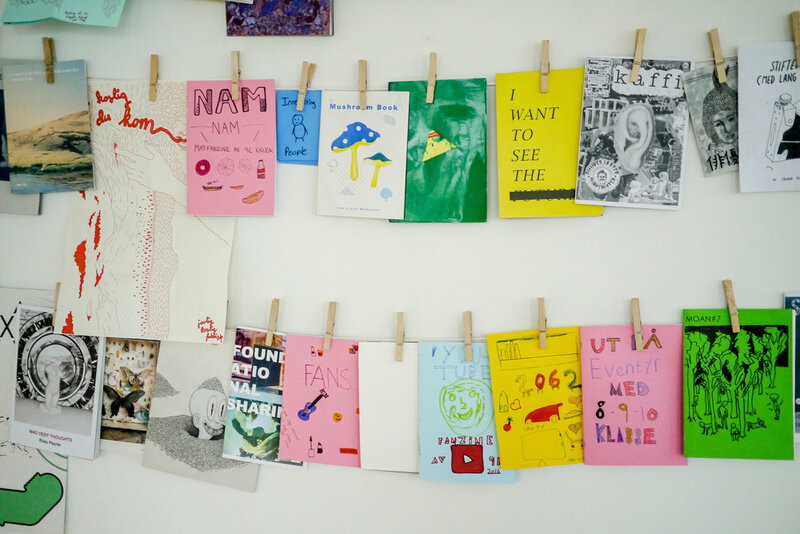 Fanzinekveld (Fanzine Evening) is single and irregular events where we invite artists to participate with their self made zines and artist's books to show to an audience. The events usually takes place at a café somewhere in Bergen, but has also happened at Norwegian Icons in Tokyo and the contemporary art gallery Tag Team Studio in Bergen. See Facebook for upcoming events!